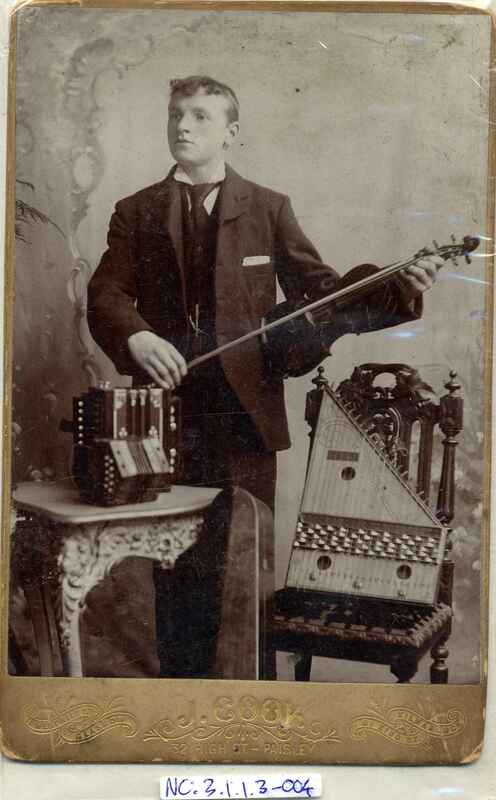 Full Description: A large carte-de-visite of a formally-dressed gent holding a fiddle and bow, and with an autoharp on the nearby chair, and both a one-row melodeon and two-row German-made Anglo concertina on the table. 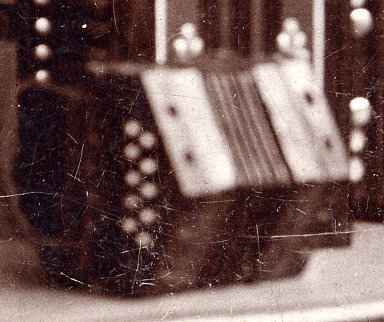 The fiddle's case leans against the table leg. Gilt-embossed beneath with "J Cook, 32 High Street - Paisley" and two further photo studio addresses. Plain rear, 115 x 168mm.